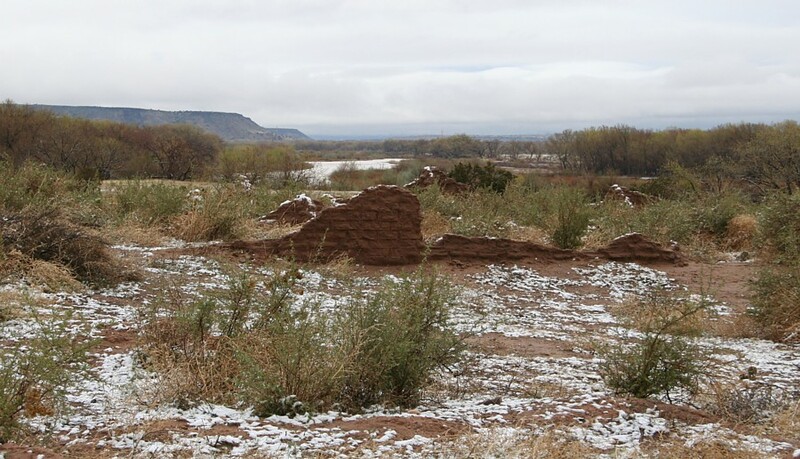 The Kuaua Pueblo archaeological site is located within Coronado State Monument. 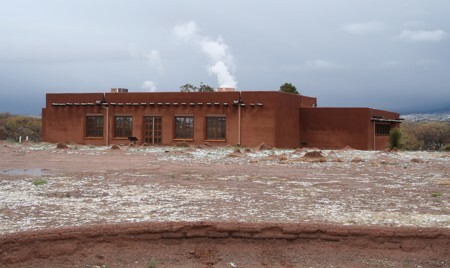 The site is located at 485 Kuaua Road in Bernalillo, NM, just north of Albuquerque, one mile west of Interstate 25 on State Highway 44. 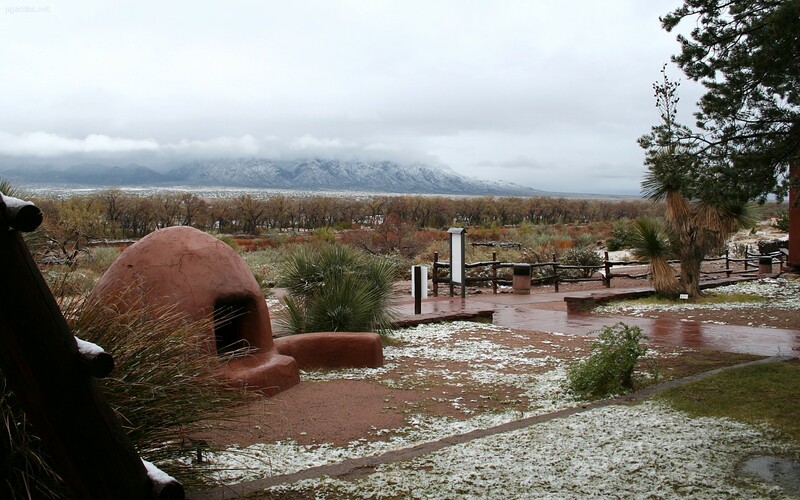 The park features a campground, a picnic area, and rest facilities. All services are also found nearby. 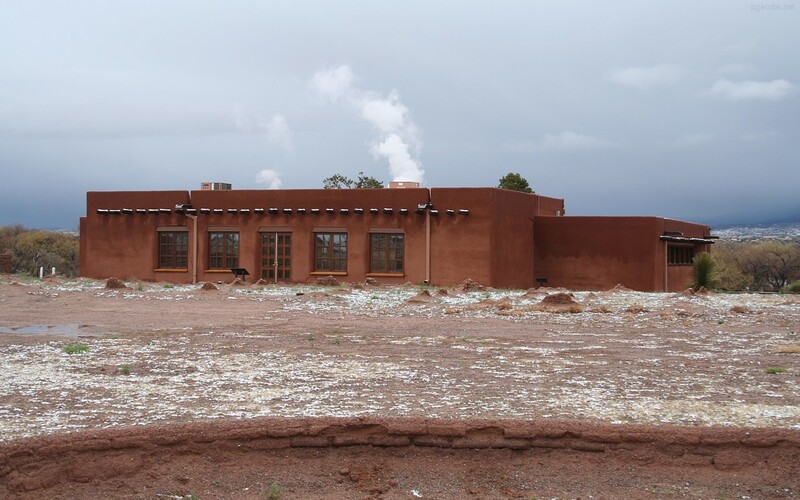 The prehistoric Native American adobe community was built approximately 700 years ago and abandoned near the end of the 16th Century. 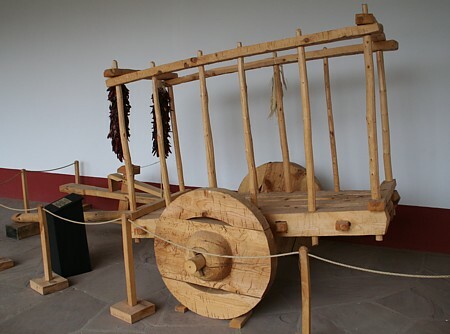 A short and accessible interpretive trail meanders through the pueblo remains and reconstructed walls. A reconstructed kiva, accessible by ladder, features recreated prehistoric polychrome murals. Francisco Vasquez de Coronado and his army, in search of rumored cities of gold, are believed to have camped nearby during their exploration of the Southwest in 1540, hence the naming of the park. Excavated in the 1930's and partially reconstructed, weather and time are taking their toll on this historic ruin. 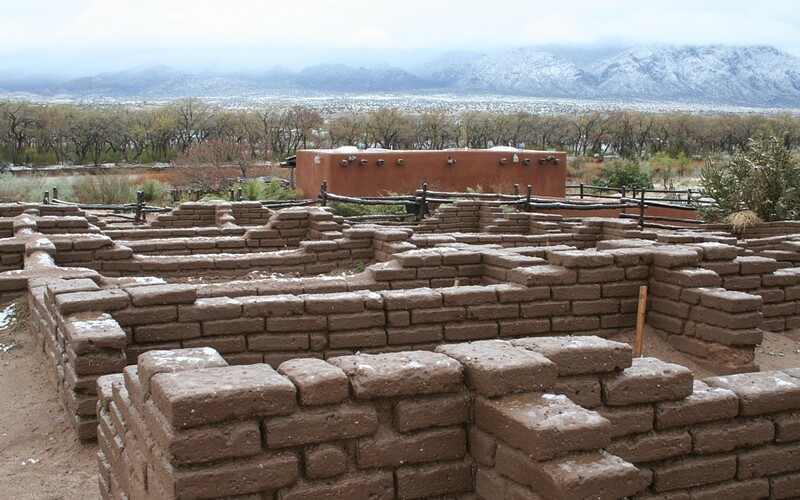 WPA workers assisted excavation and reconstructed the adobe ruin walls over the original walls. The rebuilt sections of walls illustrate the original wall layout of the pueblo. Reconstruction during initial excavation has already deteriorated significantly, and some sections now have more recent restorations. 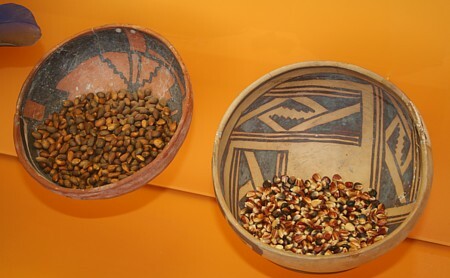 Prehistoric settlers probaby arrived at Kuaua from areas of the Four Corners depopulated during the Great Drought of 1276-1299, drawn by the Rio Grande water flowing from the high Rockies. Kuaua is a Tiwa word meaning evergreen. The museum displays both Native American and Spanish Colonial artifacts. 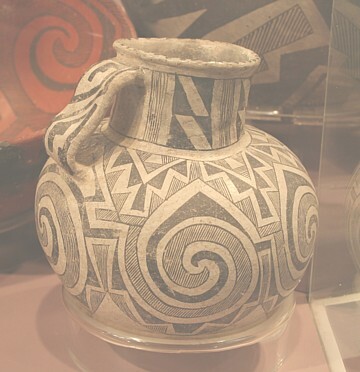 The most significant display conserves Kuaua's kiva mural art. Several of the preserved mural segments are displayed in a special mural room. 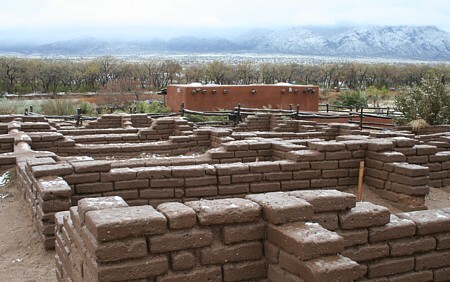 A square kiva, excavated (and reconstructed) in the south plaza, contained numerous layers of some of the finest Pre-Columbian mural art in the Untied States. The ancient mural art, based on the archaeological excavations, is accurately recreated in the reconstructed kiva. 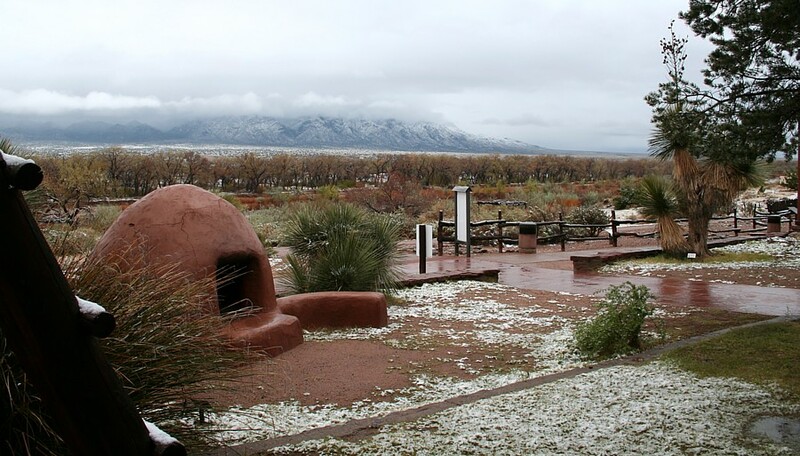 Download a 1280 pixel deskpicture of this view of the Sandia Mountains across the Rio Grande. designed by noted architect John Gaw Meem. Download a 1280 pixel deskpicture. Your comments, inquiries, etc. welcomed. Contact.